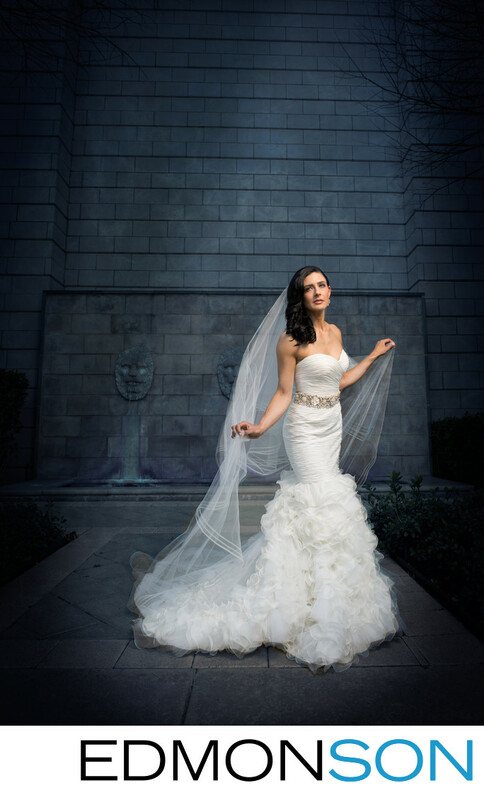 A twist on the typical bridal portraits taken in and around the wedding venue known as Arlington Hall at Lee Park, shows the bride holding her veil in front of a beautiful stone wall. Location: Arlington Hall at Lee Park. 1/200; f/5.0; ISO 320; 24.0 mm.